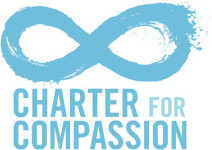 Fetzer Institute‘s work is about helping to build the spiritual foundation for a loving world. Their vision is a critical mass of people around the world embracing love as the guiding principle and animating force for living in sacred relationship with self, others, and the natural world. The Gentle Art of Blessing website has a strictly non-denominational and universal dimension. Blessing is an ancient practice and can be found in numerous religions and spiritual practices. Even agnostics and atheists can practice blessing. Beyond the practice of blessing, which includes unconditional love, compassion and gratitude, the site aims at presenting a clearly non-dualistic view of a spiritual practice which is gaining much acceptance all over the world. Gratitude Revealed is a journey into the mystery, science and “flavors” of gratitude. In a series of 16 film shorts, acclaimed filmmaker Louie Schwartzberg shows us not only what these ideas look like, but how they can be expressed in our daily lives. The Soul of Money Institute explores and shares the best practices, theories, and attitudes that enable people to relate to money and the money culture with greater freedom, power, and effectiveness. Br. David Steindl-Rast’s personal collection (currently circa 1928-2015,) of writings, correspondence, audio-visual materials, drawings, and photographs are now retained, catalogued, digitized, and preserved by the Special Collections at the University of Massachusetts Amherst (SCUA). As Br. David’s collection continues to be catalogued and digitized, it will be freely open to the public for research and scholarship. Spirituality &Practice (S&P), a multifaith and interspiritual website, envisions a global circle of people vitally engaged with the wisdom and practices of the spiritual traditions, who are thereby equipped to live deeper and fuller lives and to serve their communities and the wider world. Their name reflects the understanding that spirituality and practice are the two places where people of all religions and spiritual paths — and also those with no tradition — can come together.